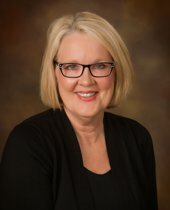 Cathy has been a licensed real estate broker in Meridian since 2007 has worked with landowners for the past 34 years in land acquisitions and timber harvesting. Cathy is very knowledgeable in the recreational land sales and acquisitions providing professional customer service to her clients. Cathy lives in Meridian with her husband, Roger, of 40 years. Cathy loves flower gardening in her spare time and spending time with family and her four grandchildren. She loves working with clients to find the right property for themselves and their family. Cathy looks forward to assisting you with your real estate needs.